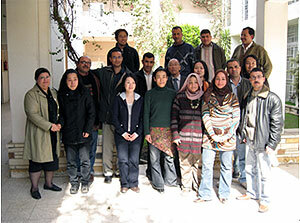 The Department of Research Programming holds a seminar every month. 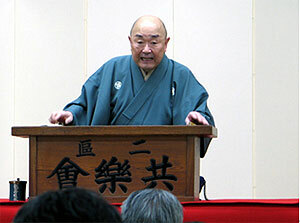 On February 27 (Wednesday) Watada made a presentation entitled “Considering the ‘Juko-in’ Issue.” Traditionally, the main hall of Daitoku-ji Juko-in (Important Cultural Property) is said to have been built in 1566 or 1538 based on the period of the creation of its wall paintings (National Treasures) by Kano Shoei and Eitoku. In his presentation, Watada proposed 1571 as the year of its construction based on pieces of historical records remaining and taking into consideration the constantly changing political situation of the time. This proposal was followed by a comment by Watanabe Yuji of the Fukuoka Art Museum, who had been invited to the workshop as a commentator. Watanabe suggested that, when the wall paintings of Juko-in are considered in the context of wall paintings in sub-temples as a whole, the arrangement of these paintings in the rooms follow the traditional manner. There was active discussion on this matter among the participants at the seminar. The National Research Institute for Cultural Properties, Tokyo has been engaged in the recording of actual kodan performances since 2002 with the cooperation of Ichiryusai Teisui and Takarai Bakin. We have asked Ichiryusai Teisui, a Holder of Important Intangible Cultural Property, to record two long, serial kodan pieces: jidaimono (story of historical figures) and sewamono (story of the common people). The recording of Midori no Hayashi Gokanroku, a sewamono, was completed on February 13, 2008. This was the twenty-first recording session for Ichiryusai Teisui, and it took 7 years to complete the project since the first session was held on June 11, 2002. Midori no hayashi refers to thieves. Midori no Hayashi Gokanroku is a grand story of the lives of five chivalrous thieves like Robin Hood told one after another; their deeds leading to their execution are recounted. As for jidaimono, Tenmei Shichidan was completed on December 26, 2005. Now Sengoku Sodo is being recorded. Recording of a new, long sewamono is scheduled to begin next fiscal year. 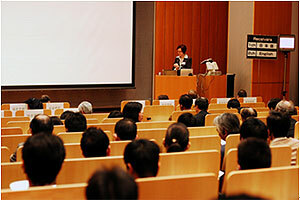 The 31th International Symposium on the Conservation and Restoration of Cultural Property was held in the Seminar Room of the National Research Institute for Cultural Properties, Tokyo from February 5 to 7, 2008. The Center for Conservation Science and Restoration Techniques was in charge of this year’s symposium on the “Study of Environmental Conditions Surrounding Cultural Properties and Their Protective Measures.” Lectures were given by 7 experts from abroad and 8 experts from Japan. 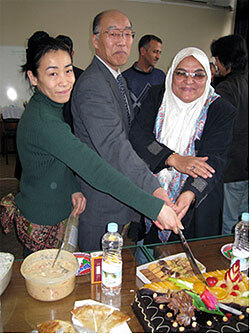 Presentations by Japanese experts focused mainly on environmental and biological control at Takamatsuzuka Tumulus, whose dismantlement was conducted this fiscal year. Experts from abroad spoke on the wall paintings of Lascaux Cave where they are faced with similar problems, and we were able to have a meaningful exchange of opinions. There were also exchange of information and opinions on conservation measures at other decorated tumuli, international activities in the conservation of cultural properties and non-destructive methods of examination. 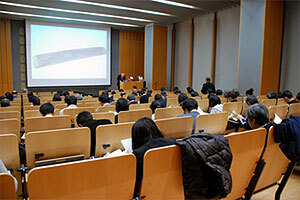 The Technical Standard Section of the Center for Conservation Science and Restoration Techniques held a seminar entitled “Deterioration of Metals Used on Urushi Objects” in the Seminar Room of the Institute on February 27 (Wednesday). In addition to lectures by Kitano of the Technical Standard Section and Ms. Sano Chie of the Conservation Science Section, three persons were invited and asked to speak: Mr. Takahashi Takahiro, professor at the Kansai University and the director of the Kansai University Museum; Mr. Kitamura Shosai, an urushi artist and a Holder of Important Intangible Cultural Property (Living National Treasure); and Mr. Naruse Masakazu of the Office of the Shosoin Treasure House, Imperial Household Agency. Recently, deterioration of metals like makie powder and fukurin (metal coverings) on urushi objects is becoming a subject of discussion. Perhaps for that reason, there were many participants at this seminar in spite of the fact that it was held toward the end of the fiscal year, a very busy time for everyone. 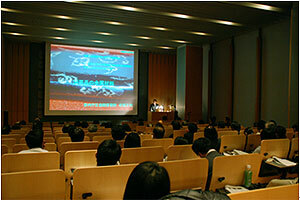 At the seminar, Kitano first spoke on excavated makie objects of the modern period (17th – mid-19th centuries) on which there is severe deterioration. Then Mr. Takahashi explained the history of urushi objects using metals in Japan, China and the Korean Peninsula from the point of view of the history of urushi craft, and the methods of their manufacture. He also spoke on some points related to environmental conditions in museums. This was followed by a valuable presentation, from the point of view of a conservator, by Mr. Kitamura on the restoration and reproduction of urushi objects designated as national treasures and important cultural properties that he himself had been engaged in. He introduced details that only someone who has actually worked on these objects could know. Next, Mr. Naruse spoke about the results of analysis of metals used on urushi objects from the ancient to the medieval periods, focusing on urushi objects in the collection of Shosoin, as well as on the conditions of their deterioration. Finally, from the point of view of conservation science, Ms. Sano spoke on the relation between deterioration of metals and the conservation environment in museums and the use of wooden storage boxes. Since the presentations by the three invited speakers were based on actual work, they were very convincing and there were many questions from the participants. In cooperation with the Japan International Cooperation Agency (JICA), the Japan Center for International Cooperation in Conservation has been providing technical advice to the Conservation Center for Grand Egyptian Museum. 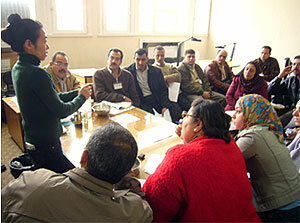 Between 24 and 28 February, the Center organized a conservation workshop on paper in Cairo for Egyptian conservators. A senior paper conservator, Sakamoto Masami, delivered a series of lectures on various manufacturing techniques of paper, both European and Japanese, their physical and chemical properties and characteristics. Following theoretical lectures on conservation and materials, some practical/technical sessions were delivered for long-scale preservation and mount-making as well as further conservation implementations. In Egypt, museums hold artifacts made of a wide range of extremely challenging materials, such as papyri and textiles. Since most of the participants at the workshop are experienced in the field of conservation as professional conservators, they made quite positive remarks concerning the workshop as a whole. It has become a very important key workshop in order to begin further cooperation with the Grand Egyptian Museum.